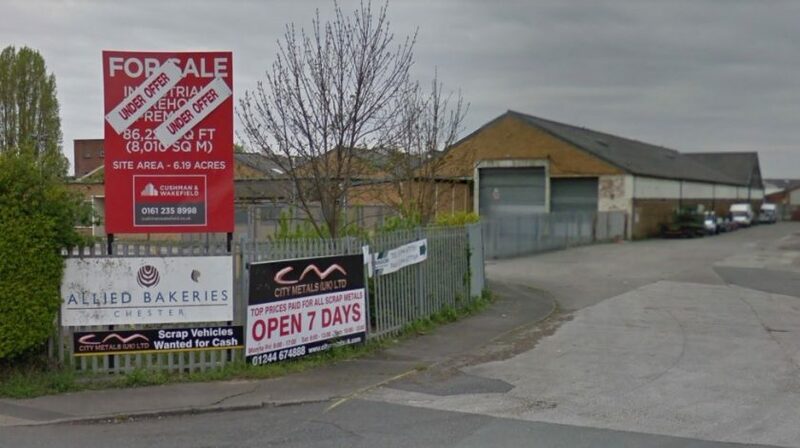 An appeal has been launched after a council failed to make a decision on detailed plans for 70 new homes on the site of a former bakery. Outline planning permission was granted to demolish the Allied Bakeries factory on Chester Road in Saltney and build a housing development in its place in July last year. However, Edwards Homes Ltd. said that Flintshire Council failed to decide on two further reserved matters applications, including details of the road layout, drainage and an ecological audit, within the relevant time limit. The company has now launched an appeal to the Planning Inspectorate in order to move the plans forward. Writing on the firm’s behalf, planning consultant Philip Moren there was ‘no compelling reason’ why the proposals could not move ahead after the first application was submitted in October 2017. He said: “In an e-mail dated 26 April 2018 from the case officer to the appellant’s agent, the case officer appears to have indicated that the conditions could now be signed off. “Over nine weeks later the appellant is still waiting for this to happen. In November 2017, the council wrote to the company highlighting a number of concerns about highways issues and recommended that the application be amended. Following further negotiations and an exchange of information with the authority, Mr Moren said it was believed the problems had been addressed, but were never signed off. He added: “Having regard to the above and the submitted details, there is no compelling reason why they should not be approved and thus the conditions discharged. Allied Bakeries closed down in November 2016 resulting in the loss of 53 jobs, although some staff were offered the opportunity to relocate to work at their Stockport site. At the time the plans were approved, Saltney councillor Richard Lloyd said “sadly the smell of baking bread has gone” but added that most people “would rather have homes than a factory” nearby. Final comments from Edwards Homes and Flintshire Council are due to be submitted to the Planning Inspectorate by August 30. A date for a hearing into the matter is yet to be confirmed.